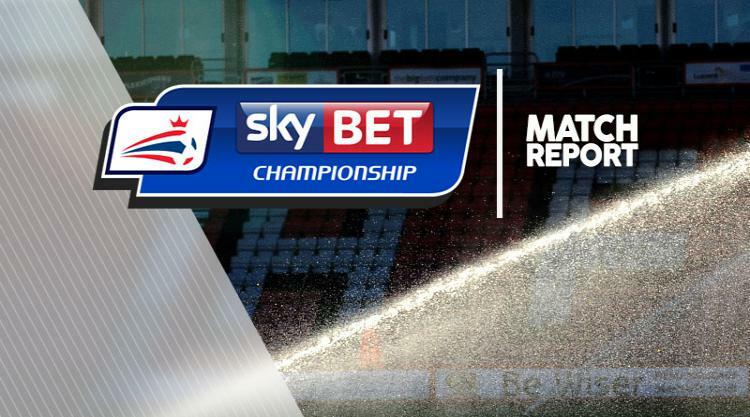 A sensational 11-minute hat-trick from substitute Nick Powell kept alive Wigan's hopes of avoiding the drop into League One with a dramatic 3-2 Sky Bet Championship victory over Barnsley. Latics had looked dead and buried with 25 minutes to go when Powell entered the fray, with the visitors holding a two-goal advantage. In a must-win game for Wigan, Adam Armstrong had put Barnsley ahead just before the break, before Ryan Kent made it two just before the hour mark. But Powell - the hero of Saturday's last-gasp victory over Rotherham - wasted no time in coming to his side's rescue again. First he fired home a brilliant free-kick from 25 yards on 71 minutes, before following up to net after Ryan Colclough's effort had been saved by Adam Davies a minute later. Then, with eight minutes to go, came the icing on the cake when Powell was fouled inside the box by Angus MacDonald, and he exacted the perfect revenge by driving the spot-kick down the middle past the despairing Davies. Wigan tried to get on the front foot as much as possible in the opening quarter, but there was always a fear the visitors would pick them off on the break such was the speed of their counters. Barnsley threatened midway through the first half when Kent's cross from the left looked bound for Adam Armstrong at the far post, only for on-loan Stoke goalkeeper Jakob Haugaard to get a touch to the ball in the nick of time. Sam Morsy was being barracked by a section of the Barnsley fans on account of returning to Wigan midway through his loan spell in January and signing a new deal at the DW. The Egypt international almost had the last laugh when he found a yard for himself just inside the box, before firing goalwards only for Davies to tip the shot round the post. Barnsley made the most of the let-off, though, and were ahead three minutes before the interval. Kent struck the post with a fierce shot from just inside the area, and the rebound flew straight to Armstrong, who converted from close range. And it looked game over after 59 minutes when Kent raced half the length of the field before cutting in on his left foot and firing in a shot that Haugaard could not keep out. That was the signal for Wigan to throw on Powell for the last 25 minutes. And there can have been few more inspired substitutions this season. Within six minutes of his introduction, Powell had reduced the arrears with a stunning, swerving free-kick that was too hot for Davies to handle. Within a minute it was 2-2 as the ex-Manchester United man was first to react when Colclough's shot was only parried by Davies. Wigan heads were in hands when Max Power hit the bar with 10 minutes left with Davies beaten. But there was more drama to come two minutes later when Powell was felled by a defender as he tried to get on the end of a ball into the box. The referee was first to react, and Powell placed the ball on the spot before smashing down the middle to make it 3-2 to Wigan.